The Ring of Kerry in County Kerry in Ireland is well known throughout Europe. It's a beautiful part of Ireland - though being rather busy in terms of tourism. 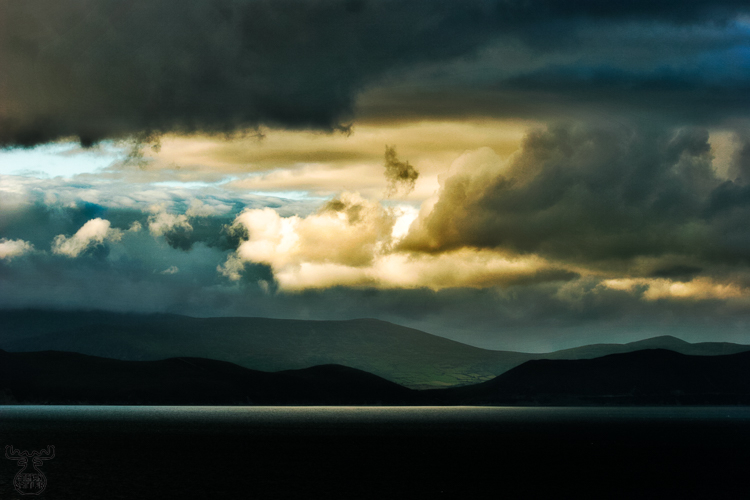 The dramatic clouds and the small line of light on the border between hills and water nearly screamed for some contrast manipulation to add them to the "Ireland in Art" portfolio.